The sixth annual Carnegie Foundation Summit on Improvement in Education will be held on April 16-18, 2019. This three-day event brings together a diverse and vibrant community of educators, researchers, entrepreneurs, philanthropists, and policymakers dedicated to accelerating improvement in education. To learn more about the 2019 Summit, download the onsite program (PDF). 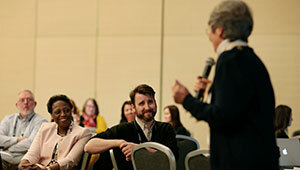 Please plan to join us next year for the Carnegie Foundation’s 2020 Summit scheduled for April 1–3, 2020 in San Francisco. If you are not on our mailing list, sign up here. Strong, effective leadership is critical to breaking through the status quo to transform our education system. Summit participants will discover opportunities to improve and grow alongside other like-minded leaders committed to achieving widespread, meaningful change in education. Gather insights, learn lessons, and receive encouragement from other leaders who have successfully taken this path. The diversity of backgrounds and experience within this extraordinary community makes this education conference unlike any other. 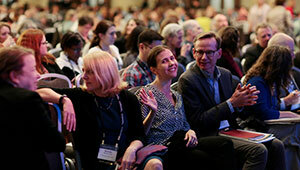 Summit participants come from all sectors of education from kindergarten to higher education, practitioners to policymakers, and funders to researchers. Check out the list of organizations that sent representatives to the 2018 Summit. Learn from successes and missteps. Acquire and test drive the principles, skills and tools of improvement science. Start forging partnerships or team up with existing networks of innovators that are committed to closing the achievement gap for the increasing number of disadvantaged and underserved students. It is only by engaging and leveraging diverse perspectives in our improvement work and networks that we will be able to develop effective solutions that work for all of our students all of the time. Summit presenters detail their experiences addressing achievement gaps in order to improve outcomes for all students. Add your voice to the conversation about how our improvement work and networks can lead to more equitable outcomes. 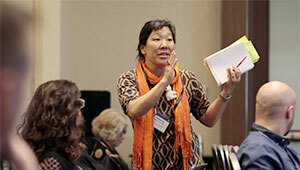 Discuss, exchange, and act to help us apply improvement science methods to narrow achievement gaps in our communities. The powerful presentations in breakout sessions often spark questions and insights from attendees that lead to meaningful conversations. This year, we are determined to bring hallway conversations to the forefront. 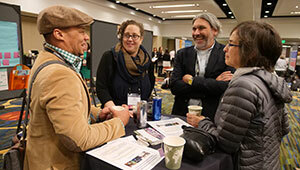 By gathering additional information during registration, Carnegie will structure more experiences for Summit attendees to connect before, during, and after the Summit. These informal networks will support Summit attendees with similar interests or problems of practice as they engage in productive conversations and make meaningful connections.